I missed IMK last month thanks to a particularly vicious bout of winter flu, illness that dragged on for 5 weeks. It’s a tenacious bug that has reached epidemic proportions in Brisbane, but I think finally I’ve shaken it off. With no energy or desire to leave the house, the sofa was a good place for me during August. Laptop on knee I spent time browsing my favourite websites. I treated myself to this beautiful French antique copper salt cellar after succumbing to impulse while browsing Etsy. I can’t help but wonder about the French cooks that in the past who lifted the lid to spoon salt into the food they were preparing. 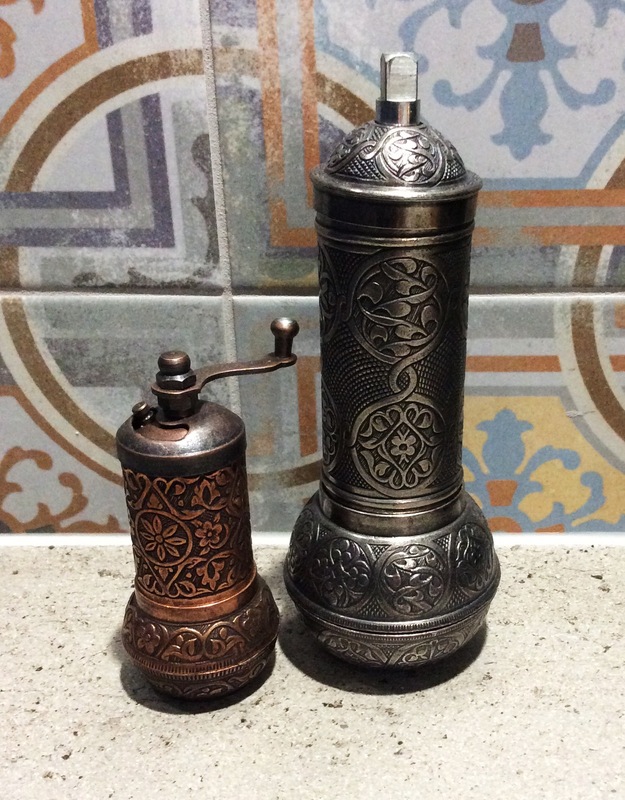 I also couldn’t resist these embossed brass spice grinders from Turkey. They are definitely more decorative than practical, but their good looks means they’re here to stay. 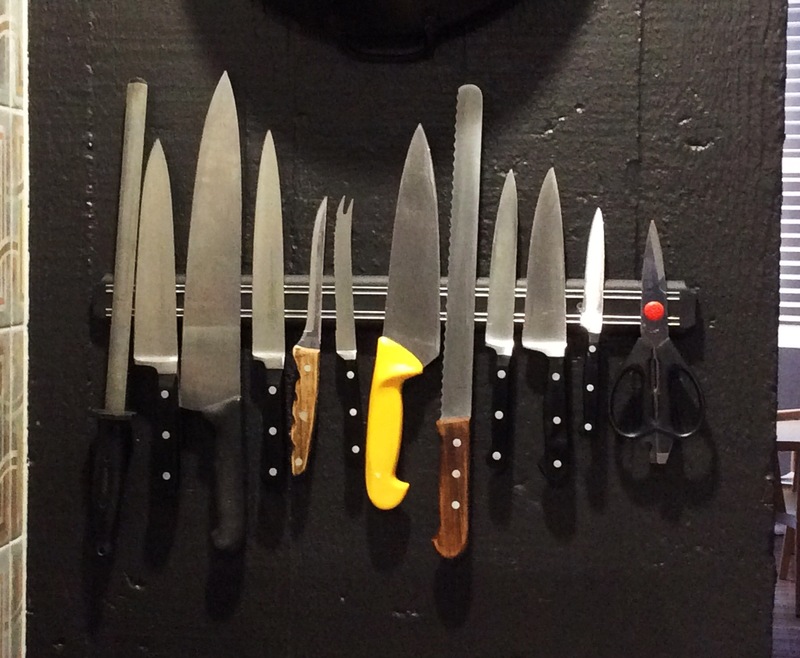 In My Kitchen, on the wall is a new magnetic knife strip. I can’t believe I persevered so long storing my knives in a wooden block. This is far more practical and it frees up bench space. Living in a subtropical climate has required me to make some seasonal adaptations. 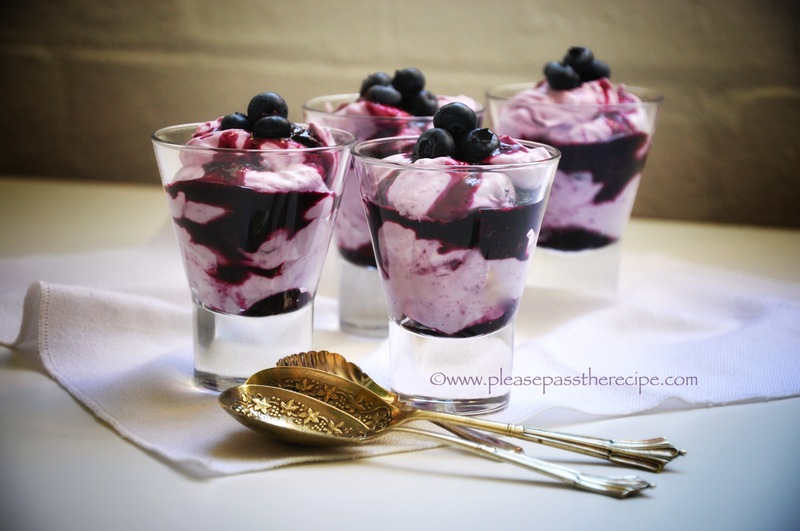 As a former cool climate dweller, having berries at their peak mid winter is a big plus. Irresistably cheap at the Farmer’s Market last week, I bought what I considered to be a manageable amount for our immediate consumption but we all know what happens to “well laid plans,” so for the umpteenth time in the past month I made this luscious simple berry fool recipe. I was overjoyed to see rabbit at the butcher’s stall in the market last week. It’s such an undervalued lean meat, full of flavour and for me, nostalgia. When times were lean during my childhood my Dad would supplement the household diet with rabbits he hunted. This was in the days before diseases were introduced into Australia to limit the pesky species that was degrading the landscape. It seems ironic that now rabbits for the table are farmed, but nevertheless our dinner of Rabbit in Mustard Cream Sauce was wonderful. 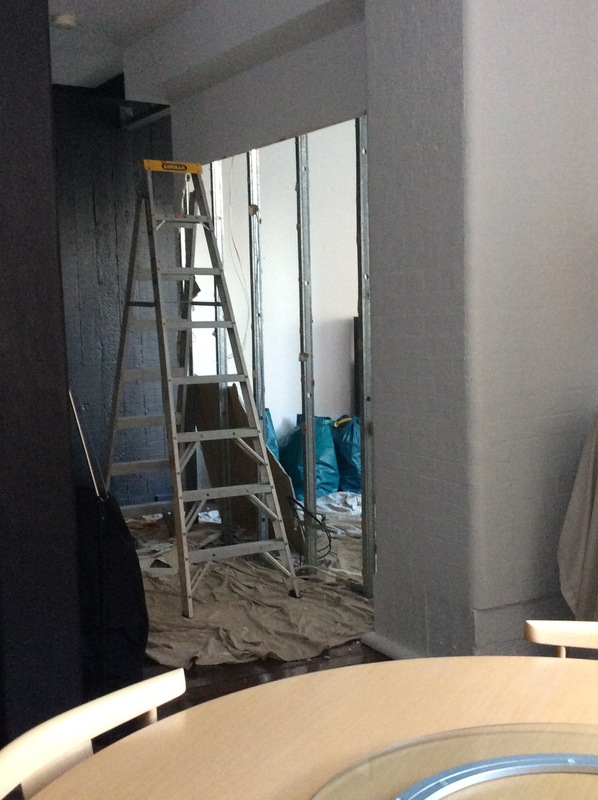 We are in the throes of another minor renovation, living in dust and disruption after an abrupt decision to remove a wall. No regrets the wall is gone but my contribution to IMK is consequently short and sweet. I’m linking up to Sherry @ Sherry’s Pickings and the fabulous worldwide community of bloggers who link up to this forum. Ooh, online shopping is such a trap when we’ve got a bit of time on our hands! I do envy you that magnetic knife strip – I have too many windows, so can’t fit one anywhere. I do agree – rabbit is such an undervalued meat. 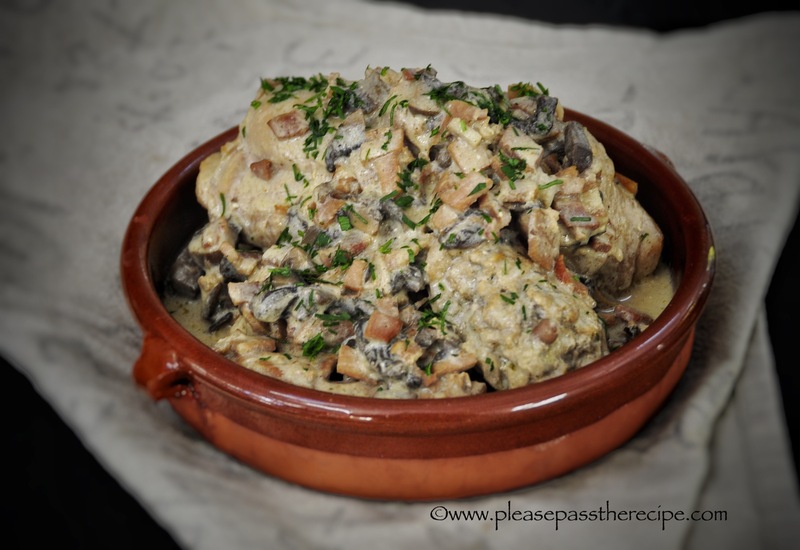 Your creamy mustardy rabbit recipe looks fantastic. Love those Turkish spice grinders. I have a slightly different shaped Greek one that was originally for grinding fine coffee, but I attempted to use it to grind allspice berries or nutmeg with little success. As you say, they are very decorative, but not practical. I do like the French copper salt cellar, but won’t copper corrode with salts? Hope construction is under control! I think you’re probably right about salt corroding copper. The salt inside is in a zip lock bag as insurance. Now I’ve found a local source for rabbit it will be a regular on our dinner table. I adore the salt cellar! They are actually hard to find, so I’ll have a poke around on Etsy too, which is always dangerous as I always end up finding so many things on there. We are in reno mode too, thank goodness it has been dry as excavation has started and there are mounds of dirt everywhere! Hope you have recovered. You’re right Etsy IS dangerous but I love the unique pieces that you can find there. Good luck with your renos, hope they are quick and painless. You have convinced me, absolutely convinced me – have been looking at that magnetic knife strip for longer than I dare confess: well, it’s going to happen and that large wooden block will say farewell to my kitchen 🙂 !! Have played Greta Garbo all winter with nary a cold or flu in sight: almost time to surface . . . oh, and I DO love those Turkish spice grinders . . . Except for the flu part (glad you’re on the mend! ), lots of goodness here. What a salt cellar! I do love my knife magnets. And, mmm, rabbit. Thanks Michelle. The rabbit was magnificent. The demand has almost disappeared here, becoming harder and harder to find. As a new convert to a magnetic knife strip, I’m convinced. We never really had any winter in Brisbane but there a definite warmer feel in the air. Light fingers are the bane of all shopkeepers, I used to lose lots of specialty grocers from my deli. I think it’s a compulsion for some..
I’m so glad you’re on the mend. I got the dose as well, despite having had the shot, and promptly got a chest infection on the tail end of it, so the hacking cough continues unabated. Like you, I’m a magnetic knife strip addict, and I feel sure they’re much cleaner too – who knows what lurks down the slots in a knife block. I love them so much I have two, the other one being for tongs, graters and other utensil-drawer tanglers. And exhausting! But the antibiotics seem to be working at last. Sending lashings of envy for the salt cellar and Turkish grinders. Lashings. Now they could be seen as little rewards for getting through the plague. Hoping that you stay well Sandra- I hear it from everyone I know that it has been a bad year. That salt cellar, be still my beating heart. Glad you are well again, the lurg hit our area in epidemic proportions as well. Ugh. The magnetic knife rack is a game changer, I love mine. Except now I am envious as yours is longer…and I am (as the kids say) a tad ‘jelly.’ Chuckle. No, I got the lurg. Sigh. Oh, a photo please of your wee fella! Glad you’re on the mend, Sandra, that flu sounds horrendous. Love your salt pot! 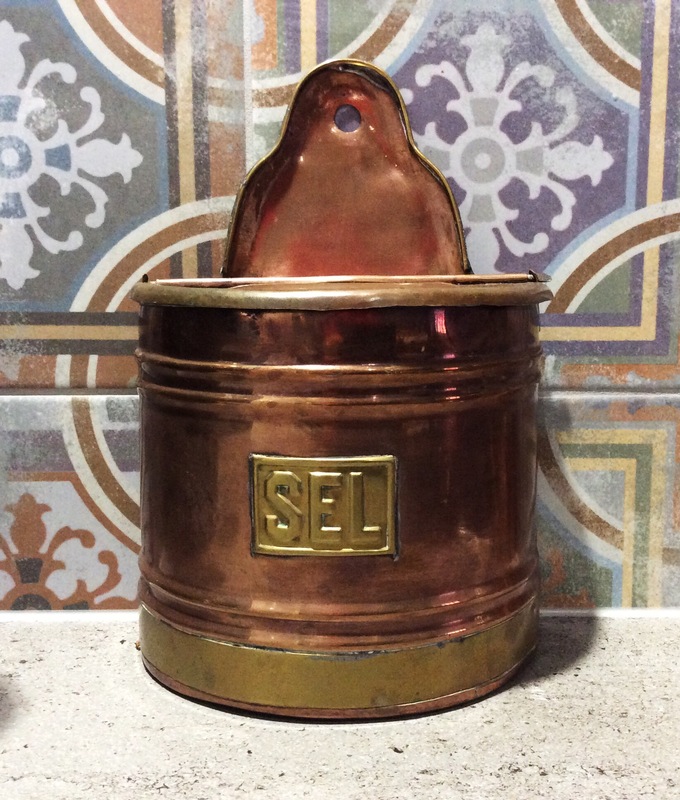 Research on that type of wall-hung salt container might be very interesting! Were the cooks preventing moisture from caking up the salt? Was it just a way to have the salt nearby and easy to access? Was copper chosen for a reason? Could be fascinating. Meanwhile, your Etsy finds are beautiful! Thanks Mae. My Mum always kept a salt cellar by the cooktop and I thought it was just for convenience, but maybe there was a deeper rationale. This one has a beautiful patina. HI Mae, Each month I try with difficulty to comment on your post. Now the comments sections is totally missing! Chaos reigns in my kitchen too.. This entry was posted on September 1, 2017 by ladyredspecs in Food, In My Kitchen and tagged IMK, in my kitchen.